The Population Health Blog took time out of its busy schedule to check out the latest James Bond movie. While posting anything that refers to a months-old movie is inconsistent with standards of modern social media, Spectre has some important lessons. The PHB begs its readers' forgiveness as it is filters out the improbable car chases, dubious gadgetry and staged fisticuffs and examines the underlying health app technology insights. Without revealing too much of the plot, Mr. Bond continues to recklessly expose himself and others to STDs while battling a global conspiracy that is led by a cryptic master criminal. The bad guys want to exploit the weaknesses that come with combining the intelligence data of the world's democracies. And what are three cinematic health app teaching moments? Health Information Technology vs. People is a Classic False Choice: In Spectre, British Intelligence seems ready to invest in a global big-data initiative and jettison the "Double O" programme; Whitehall apparently fails to realize combining both would be greater than either alone. Think Deep Blue "versus" Kasparov, or Dr. Watson "versus" Dr. House. Yet, Bond prevails precisely because Ms. Moneypenny is his 24-7 data muse. Smart health app designers understand that the best apps are the ones that synergistically enhance, not replace, what doctors and patients bring to their care planning. For example: Asynchronous two-way HIPAA-compliant communication that allows consumer concerns to be mutually addressed in partnership with a nurse-provider before the emergency room becomes the best option. Health Information Technology Needs Good People: No Bond movie is complete without legions of pistol-wielding bad guys who can't hit the side of data warehouse, which is why Bond prevails. Think putting an Acela locomotive on decades-old train tracks under AMTRAK's ossified management. The health technology insight here is that any health app that perpetuates health workers' can't-shoot-straight business-as-usual will enable incremental, not transformative change. For example: During a recent health plan launch involving the medSolis app, the PHB had the pleasure of working with expert professionals who knew the purpose of the program (er, programme) initiative was to enable informed patient decision-making. In response, we also began to alter long-standing health plan policy and procedure. All Things Equals No Outcomes: Other than pooling the intelligence data, none of spy-administrators seem to be able to articulate the purpose of their joint data initiative. While cleverly branded and all-purpose apps strive to "be" the intended outcome, truly successful health apps will be those that can be purposed for a defined population and prospectively aimed at a limited set of clinical, financial and patient-centered outcomes. For example: Once the generic coding/architecture is set, a winning app's content, channel and outcomes can be tailored for, say, a precisely defined group of high risk persons with diabetes. And, to borrow from the concept of "parallel processing," the app should also be able to be altered to simultaneously serve a parallel population that is prone to rehospitalization (outcome: reduce avoidable readmits), or who would benefit from weight loss (outcome: reduce BMI). 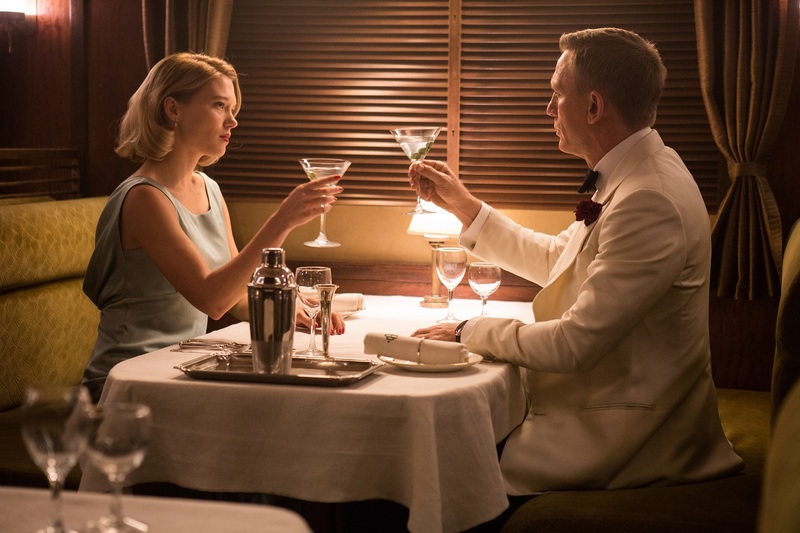 Conclusion: Health concerns aside, perhaps nothing signals Bond's adaptability better than his willingness to forego his long-standing "shaken, not stirred" workflow in favor of quaffing a "dirty" martini with the sultry Dr. Madeleine Swann. Even the Bond franchise is not immune from the adage that "change happens." The same should be true for traditional health care as it continues to import an emerging ecosystem of health apps. Delivery systems, hospitals, clinics, ACOs and networks that understand that will win. And "Cheers!" to that, Dr. Swann.